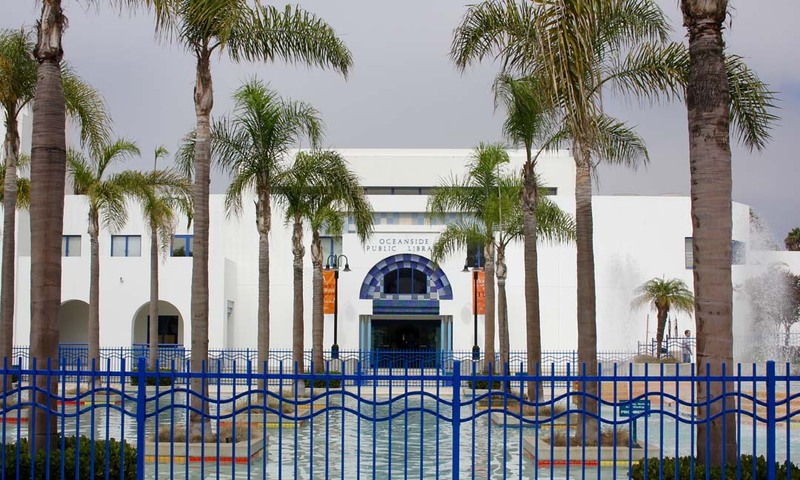 OCEANSIDE — Oceanside Public Library will hold a Living Library on the topic of immigration March 25. During the Living Library, invited community figures will share their personal stories about immigration to U.S. and new life in California. Unlike books of firsthand accounts, the Living Library allows attendees to meet with speakers, ask questions and gain further insight. The talk will follow the timeline of California history. Shared experiences will range from the first Native American Indians in California, to gold rush immigrants and recent refugees. Firsthand Japanese, Vietnamese and Mexican immigration stories will be told, and offer listeners a diverse range of perspectives on relocating to the U.S and California. After accounts are shared, speakers and attendees will have time to mingle, talk one-on-one and sample a variety of fusion foods prepared by Petite Madeline, and funded by the Friends of the Oceanside Public Library. The event is part of the California Center of the Book community-building program, Californians: Community Conversations about Immigration, grant programming. The goal is to spark community discourse and foster tolerance, meaningful conversation and understanding around immigration. Also part of grant programming is the photo exhibit “Between Two Worlds: The United States/Mexico Border” by Pulitzer Prize winner Don Bartletti, which is on display on the Civic Center Library second floor gallery through April 22. A collection of 16 photos show the life of undocumented immigrants in San Diego County during the 1970s through 1990s. Images include priests blessing immigrants as they begin their journey just north of the Tijuana, Mexico/U.S. border, a worker carrying cut flowers in Encinitas fields and a group of immigrants racing across Interstate-5 before driver warning signs and fencing were in place. The Living Library will be held at the Civic Center Library, first floor Atrium, at 6 p.m. The event is free.